Clean lines in a soft contemporary style highlight this luxurious master suite in this Tuscan contemporary downtown loft. 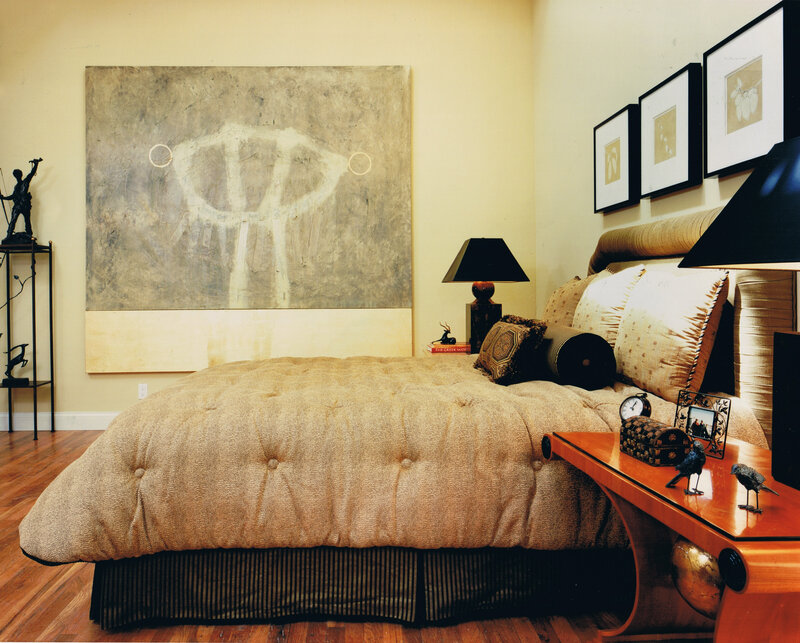 The scale of the room easily accommodates a large original canvas by artist Dan Sayles that intimately anchors the oversized space. "Walters chose a color scheme of blacks, golds and 'wet sand' for the bedroom, combining contemporary furnishings and art with a classic bronze sculpture."